While millions mourned the 49 lives lost in a mass shooting at a popular gay nightclub in Orlando, Florida, last weekend, the Islamic State (ISIS) claimed the disturbed gunman as one of their own and celebrated the attack on the LGBTQ community. 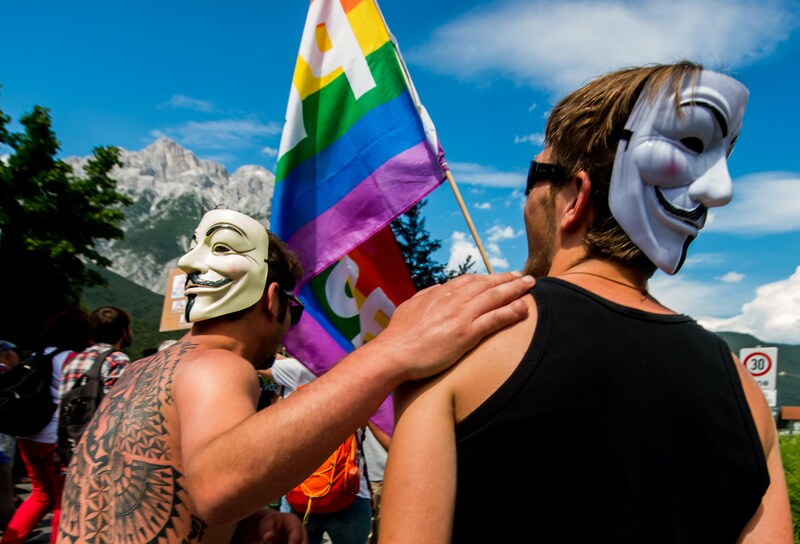 In the wake of the deadliest mass shooting in U.S. history, the hacktivist collective Anonymous infused some LGBTQ pride into ISIS Twitter accounts in a colorful act of defiant protest against the caliphate. More than 250 social media accounts believed to be tied to ISIS have been given a gay-friendly makeover by a small team led by an Anonymous hacker known only as WauchulaGhost, although many of them have reportedly since been suspended by Twitter. In taking over the accounts, WauchulaGhost replaced images of the black ISIS flag with the rainbow flag of the LGBTQ movement, tweets celebrating the Orlando shooter were replaced with popular LGBT slogans, like "I'm Gay and I'm Proud," or condolences to the families of the Orlando shooting victims, and jihad-referencing profile names are replaced with WauchulaGhost's signature "Jacked by a Ghost." While many of the ISIS-linked accounts WauchulaGhost has reportedly taken over were hacked prior to the Orlando shooting, the hacker was inspired to flood the accounts with images and messages of gay pride as a means of honoring the 49 people killed. "You had all those innocent lives lost," he told CNNMoney. "I just felt there's something I could do against the Islamic State to defend those people." Many of the ISIS Twitter accounts WauchulaGhost hacks don't stay on the social media site for long, and the cyber vigilante has accused Twitter of stalking him in an effort to take down hacked ISIS accounts. Twitter told CBS News it condemns "the use of Twitter to promote terrorism" and has suspended over 125,000 accounts for promoting terrorist acts, primarily related to ISIS, since mid-2015. Anonymous first announced it would wage "war" on ISIS' social media presence last year shortly after the Charlie Hebdo attacks occurred in Paris. "The terrorists that are calling themselves Islamic State (ISIS) are not Muslims," the hacktivist collective said in a video message released in February 2015. "ISIS, we will hunt you, take down your sites, accounts, emails, and expose you. From now on no safe place for you online. You will be treated like a virus and we are the cure. We own the internet." WauchulaGhost's LGBTQ social media makeovers won't bring ISIS to its knees, but they are a comedic means of protest and tribute.